New Zealand’s pizza lovers will be among the first in the world to have their favourite meal delivered by a drone, Transport Minister Simon Bridges said on Thursday. Some of the world’s biggest companies including Amazon.com Inc and Google, or Alphabet Inc as it is known, have plans to make deliveries by drone and aviation authorities in the United States, Britain, Australia and New Zealand have been relaxing rules to allow air deliveries. 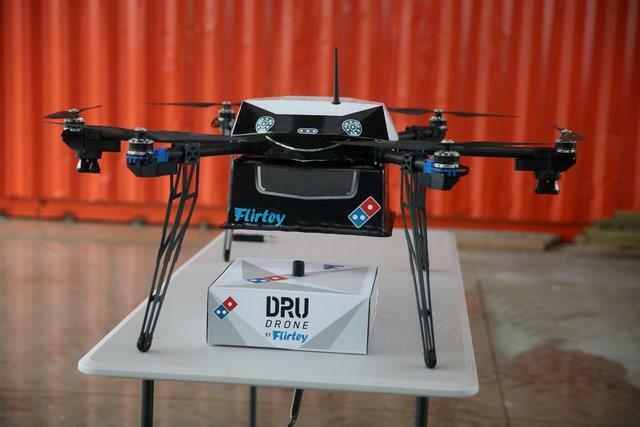 Bridges welcomed the announcement that Domino’s Pizza Enterprises had joined forces with unmanned aerial vehicle (UAV) developer Flirtey to launch the drone delivery service, Xinhua news agency reported. 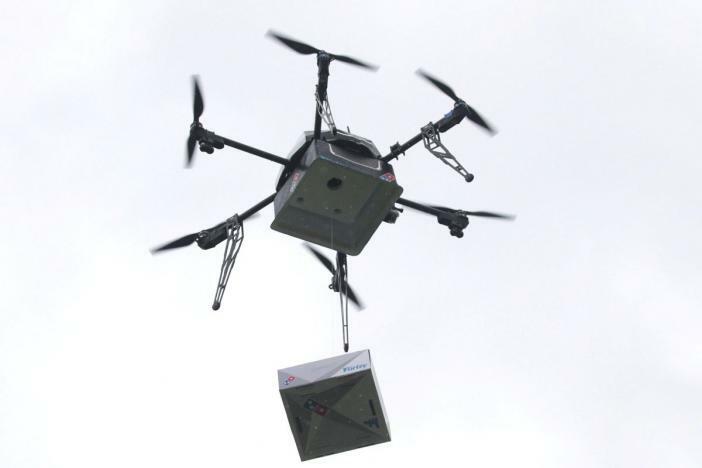 Domino’s Pizza Enterprises Ltd conducted a demonstration pizza delivery by drone in the New Zealand city of Auckland on Thursday, and afterwards said it aimed to be the first company to launch a regular drone service, late this year. “Domino’s and Flirtey have chosen New Zealand for the trial because our forward-thinking aviation regulations encourage innovation, while protecting safety,” Bridges said in a statement. New aviation rules came into force in August 2015 to regulate and enable the use of UAVs for recreational and commercial purposes in New Zealand. “The announcement of this trial confirms that New Zealand’s framework for UAVs is world-class. In addition, the government has reviewed the laws for driverless vehicles and small passenger service operators, to ensure New Zealand stays at the forefront of transport innovation,” said Bridges. The trial was also a valuable opportunity for the Civil Aviation Authority, the aviation safety regulator, to make sure that appropriate safety precautions were taken when the trial got underway later this year. The government is also continuing to work with Domino’s on the possibility of testing a driverless pizza delivery unit on land. The US-based pizza chain announced in March it was exploring the possibility of testing a pizza delivery robot in New Zealand. Domino’s said it is also looking at opportunities for drone delivery trials in Australia, Belgium, France, The Netherlands, Japan and Germany. In Australia, drone deliveries will be legal next month, provided the drones stay at least 30 meters (100 feet) from houses. In the United States, drones will be allowed to make deliveries from Aug. 29, but not across state lines or over people.